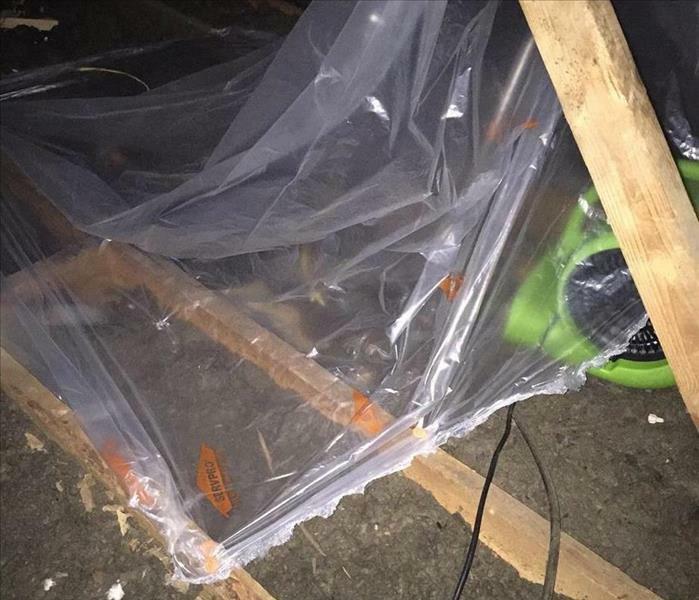 This is a photo of SERVPRO of North East Greenville County drying a section of our clients attic using a method called tenting. By removing the affected insulation and tenting the affected roofing and building materials we were able to dry and repair her roof quickly and effectively with minimal damage. SERVPRO of North East Greenville County "Like it never even happened." Shortly after 3 am we were called to help this client out with a "small problem" as it was described to our franchise. Turns out there was a gas station on fire and we were chosen to help them out. In just a few short days and weeks we were able to have this business up and running again "Like it never even happened." SERVPRO of North East Greenville County is always ready to assist any size loss. This picture is an after picture of a C-Store facility that was on fire just 7 days prior to this being taken. There was heavy soot and water damage that had taken its toll on this facility in Greenville, SC. SERVPRO of North East Greenville County respnded to this client and left their facility in a state of "Like it never even happened." 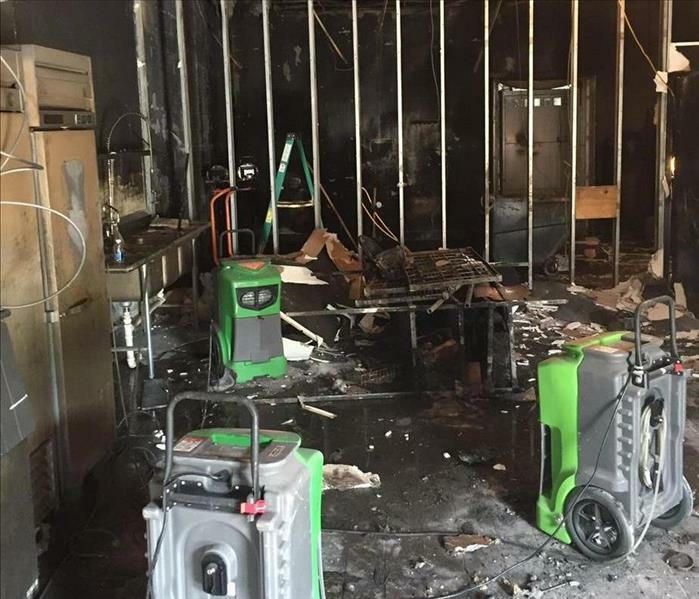 When this restaurant sustained major flooding from its fire suppression system they called SERVPRO of NE Greenville. We we were able to extract over 1,000 gallons of water and set drying equipment in time for the business to open. No revenue was lost here and the business operated that day "Like it never even happened." 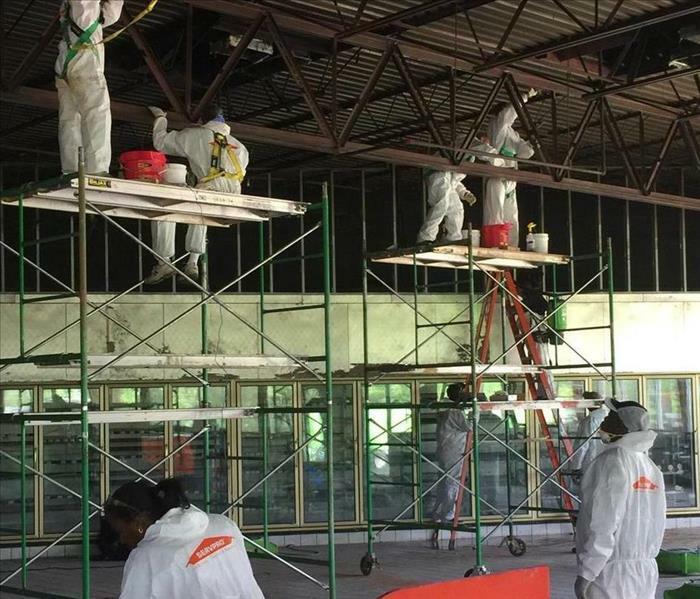 "Faster To Any Disaster" This warehouse sustained major fire damage and they called SERVPRO of NE Greenville County to restore their property. It took us less than 48 hours to have them up and running. In less than two weeks we had their place cleaned and restored. "Like it never even happened."